SHERIDAN, WYO. 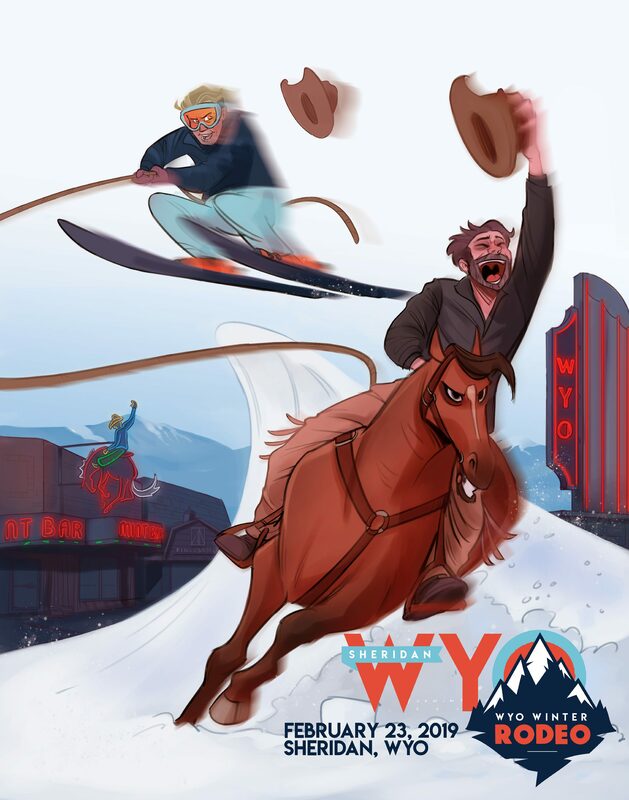 Sheridan Travel & Tourism is thrilled to announce the inaugural Sheridan WYO Winter Rodeo, scheduled for February 22-24, 2019! The highlight of this event is a skijoring competition sanctioned by Skijoring America. Skijoring is a sport where a person on skis is pulled by a horse along a course marked with jumps and other obstacles. Skijoring attracts thousands of visitors to towns around the Rocky Mountain region each year. Sheridan’s skijoring course will be located on Broadway, beginning at Luminous Brewhouse (E Dow St.) and ending at Black Tooth Brewery (E Alger St.). Sheridan Travel & Tourism has a goal to attract 500 overnight visitors to Sheridan in year one, in addition to two-thousand local spectators, and more than 100 competitors. This family-friendly event is an opportunity for them to showcase Sheridan’s winter attractions and provide an economic boost to the local economy. Online registration opens February 9th, 2019 and will be available on the Skijoring America website. Contestants can also register in person at Black Tooth Brewery on Friday, February 22 and prior to the first races on Saturday, February 23. For more information, including ways to partner, sponsorship opportunities, and more, please contact Sheridan Travel & Tourism at (307)673-7120 or bailey@sheridanwyoming.org.